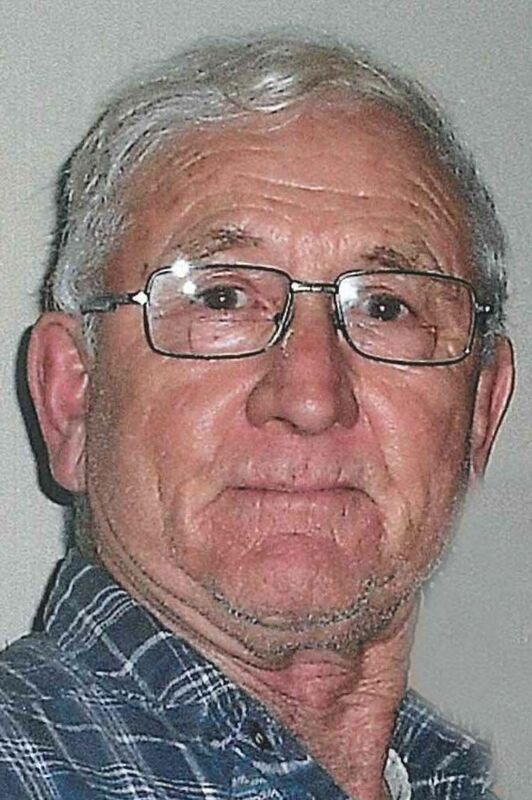 Jimmie Wayne Crosgrove, 79, of Merrill, passed away on Thursday, Feb. 7, 2019, at Brentwood Good Samaritan Village in Le Mars, Iowa. A Celebration of Life service will be 7 p.m. Wednesday, with the family present 5 to 7 p.m., at Mauer-Johnson Funeral Home in Le Mars. A time of visitation and sharing will begin at 2 p.m. Wednesday. Expressions of sympathy may be directed to the family through www.mauerjohnsonfh.com. Jimmie Wayne Crosgrove was born on Aug. 6, 1939, in Woodbine, Iowa, the son of Ralph and Darlene (Barsby) Crosgrove. He began his education in Woodbine and later attended high school in Castana, Iowa. On May 12, 1962, Jimmie and Barbara Ruedy were united in marriage at Elk Point, S.D. He held various jobs prior to entering the United States Army on Nov. 24, 1962. Jimmie served overseas in France until earning an honorable discharge on Nov. 2, 1964. He returned to the states and began a longtime career in trucking. Jimmie drove for Cargill, OFC and Bartol logging over 3 million miles. Most recently, he was driving part-time for Rich Vander Kooi. Jimmie was a 50-year member of the American Legion. Grateful to have shared his life is his wife, Barb of Merrill; two sons and their wives, Brian and Christine Crosgrove of Minneapolis, Minn., and Michael and Khay Crosgrove of Vientiane, Laos; six granddaughters, Abby, Shannon, Isabel, Aislinn, Andrea and Nicole; two great-granddaughters, Evangeline and Gwendolyn; brothers and sisters and their spouses, Gary and Elsie Crosgrove of Sioux City, Marline and Tom Heuretz of Le Mars, Mervin and Lila Crosgrove of Merrill, Debra and Mike Burke of Waterloo, Iowa, and Denise and Harvey Hansen of Sioux City; sisters-in-law, Nancy Riley of Sioux City, and Janice Bolte of Merrill; and several nieces and nephews. He was preceded in death by his parents; a brother and his wife, Roger and Beverly Crosgrove; brothers-in-law, Jim Stroman, Dean Bolte and Bill Riley; a niece, Kristin Hulsey; and a nephew, Jon Marienau.